Doug Dwyer is President and Chief Stewarding Officer of DreamMaker Bath and Kitchen and has led the company since 1997. He purchased DreamMaker in 2003 from Theresa Dwyer. His management expertise includes overseeing operations, franchise development and support, marketing development, national accounts and warehousing. He was named 2004 Remodeler of the Year by Professional Remodeler. 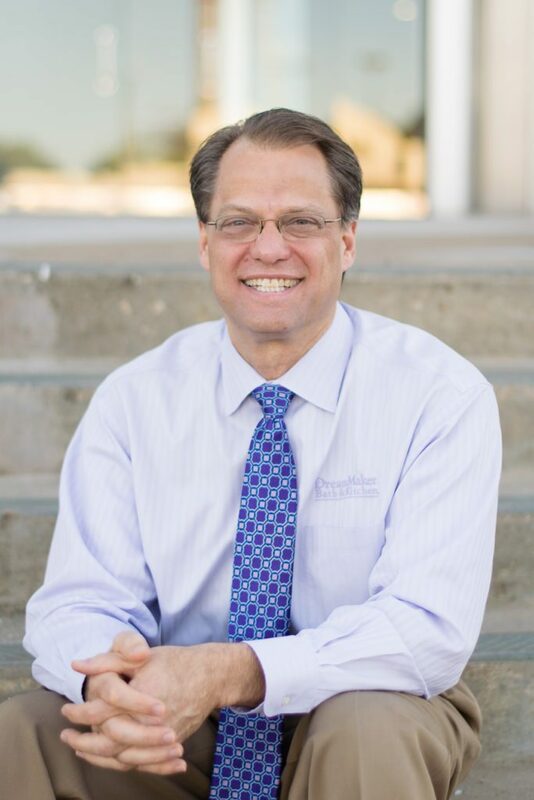 Under his leadership, DreamMaker has won repeated inclusion among Remodeling’s Big 50 and Top 100 firms, Qualified Remodeler’s Top 500, and Entrepreneur’s Franchise 500. He is actively involved in the National Association of the Remodeling Industry and has served in many leadership roles. Doug also is a member of the National Kitchen and Bath Association and the National Association of Home Builders Remodelers (NAHB). He is a speaker at remodeling, franchising and general business meetings. He has addressed audiences at the Southern Building Show, the Remodelers’ Show, International Franchise Association conventions and Baylor University’s FastTrack Entrepreneurial Program graduation. He and his family live in Waco, TX. Amy Mosley has been with DreamMaker since 2001 and oversees franchise support and internal operations, including franchise training. During her tenure with DreamMaker, she has served several times as a board member and chair various committees for the National Association of the Remodeling Industry (NARI). Having served on NARI’s Bylaws and Ethics Committee as well as the Finance Committee, Amy is currently serving as the chair of the Membership Committee and is also a member of the Board of Directors. She served as a judge for four years in NARI’s National Contractor of the Year competition and has received a NARI President’s Award for her contribution to the association. She also has been a speaker at the national Remodeling Show. Amy has served as a board member and marketing and communications committee chair for the National Kitchen and Bath Association, holds a Certified Aging-in-Place Specialist designation from the National Association of Home Builders and is a Certified Franchise Executive. 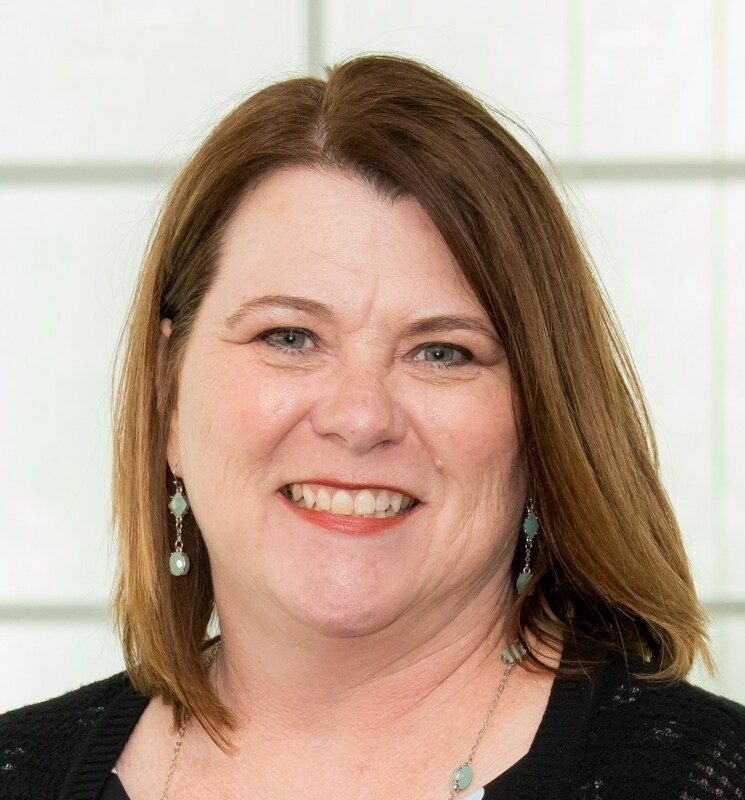 A graduate of Baylor University, Amy has more than 20 years of experience in marketing and franchising and has held positions with multi-unit retailers such as Pier 1 Imports and Chief Auto Parts (now part of AutoZone). She makes her home in Waco with her family. Libby is the Manager of Franchise Systems Innovations & Training for DreamMaker Bath and Kitchen. In this role, she works closely with the Vice President to oversee franchisee training programs and innovations, franchisee launch and supports the Franchise Coaching team. Libby works on our system development and implementation for our franchisees and leads our training efforts for franchisees. Libby’s efforts ensure new franchisees are on-boarded smoothly and her oversight helps existing franchisees excel. Libby has been part of the DreamMaker team since 2013. 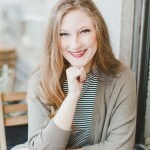 Libby holds a Bachelor of Business Administration degree in Supply Chain & operations Management from Baylor University. Outside of work, Libby enjoys spending time with her son, Scout. When she isn’t busy chasing Scout. She has special interest in Old and New Testament Apologetics. Conway joined the DreamMaker team in December 2018, managing projects that innovate or update DreamMaker’s integrated technology systems for use by franchisees. Following 15 years in ordained ministry, Conway worked for The Container Store. During his last 6 years there, Conway worked in the corporate office, supporting technology and systems used by the company and its stores across the country. Conway most recently worked for PDI Software, implementing and supporting an ERP software solution for the convenience retail and wholesale petroleum industry. Conway brings years of experience to DreamMaker. When you don’t see Conway working with DreamMaker technology, you can find him either reading a good book, watching movies, traveling, or at a Baylor Bears athletic game. Conway grew up in St. Louis and will always remain a St. Louis Cardinals fan. Ricky Deakyne joined the DreamMaker team December 2016. As the Marketing Manager, Ricky is responsible for creating and managing lead generation efforts for the corporate team and franchisees, strengthening DreamMaker’s brand position, and collaborating with franchisees on innovative marketing strategies to help them gain more market share. Ricky earned his B.S. in Communications from Liberty University where he worked for a few years in marketing and met his wife and dog Popeye. Ricky is originally from Williamsburg, Virginia and moved down to Texas four years ago with his wife Kristin to be closer to family. While Ricky is not working on his next DreamMaker marketing initiative, you can find him watching sports with his son Noah or doing house projects with Kristin. Joaquin Erazo joined the DreamMaker team in March 2015 as its Marketing Strategist. 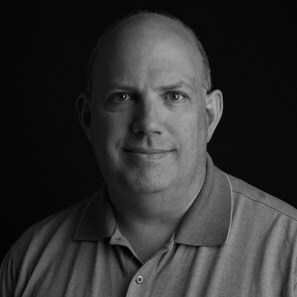 With more than 25 years of experience in marketing and a master’s degree in business administration (MBA), Joaquin is a recognized marketing expert. 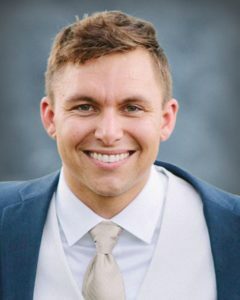 In 2012, he was recognized by Qualified Remodeler as one of the “Top 25 social media experts who get it.” Over the last 14 years, he served as Chief Marketing Officer for Case Design/Remodeling, Inc. in the Washington, D.C., market and was instrumental in taking it from a $13 million local company to more than $52 million in gross sales. Prior to Case, he led marketing teams in the software industry, banking and in a national trade association. In March 2013 he launched Marketing Wing, LLC. 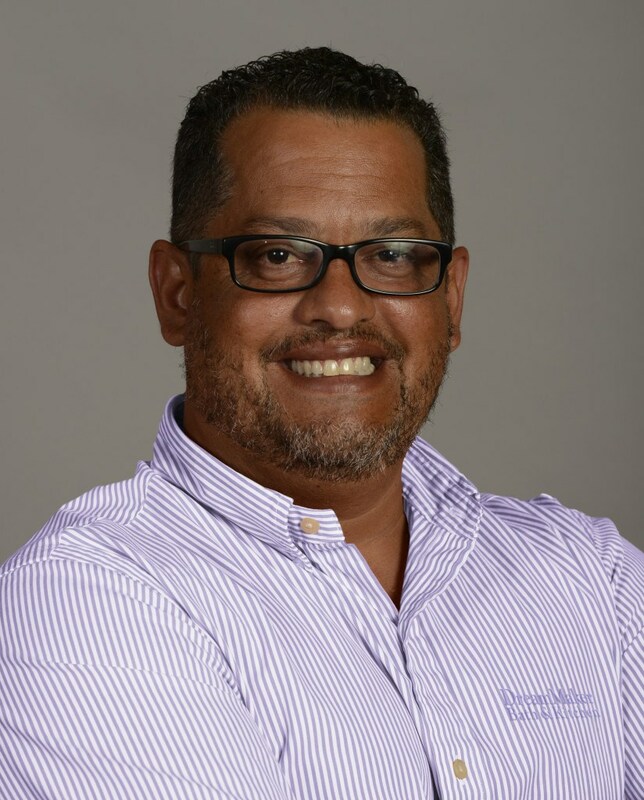 At DreamMaker, Joaquin covers strategic marketing development, project management and works closely with new franchisees and establishing their first-year marketing plan. Joaquin and his family live in Leesburg, Virginia. Jacklyn joined the DreamMaker team in October 2018. 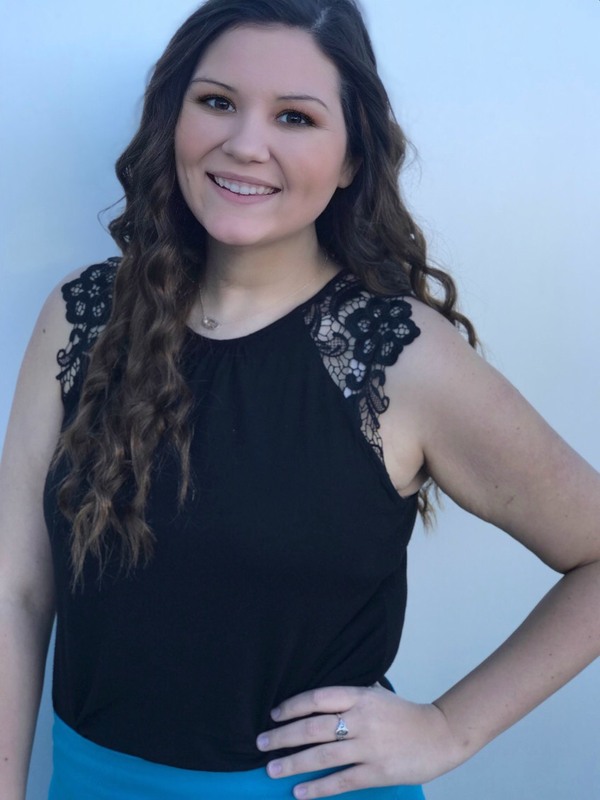 As marketing coordinator, Jacklyn is responsible for supporting the marketing, public relations and communications efforts of the corporate team. Jacklyn manages the day to day activities of franchise development marketing, internal/external communications and a handful of consumer marketing initiatives. Jacklyn graduated from Utah Valley University (UVU) with a B.S. in Marketing and a minor in Business Management. During her time at UVU, Jacklyn was a member of the UVU Women’s Golf Team. Jacklyn plans to pursue high education and obtain her MBA. In Jacklyn’s free time, she volunteers as a youth sports photographer and videographer. She also volunteers as a Communication Specialist for her local church. When Jacklyn isn’t working or volunteering, then you can either find her watching sports, out on the golf course, or just spending time with her family. Emily is a current student in the Baylor Hankamer School of Business pursuing a double major in Marketing and Supply Chain Management. Her main responsibilities here at DreamMaker are supporting the marketing department in data compilation & analysis, industry research, public relations and social media management. In addition to Emily’s job and school commitments, she serves at the Mission Waco Children’s After-School Program at least once a week by tutoring and mentoring kids. If Emily isn’t studying, working or volunteering, you can find her outdoors with nature camping, biking, hiking or hammocking. John McCue started at DreamMaker Bath & Kitchen in February 2011. 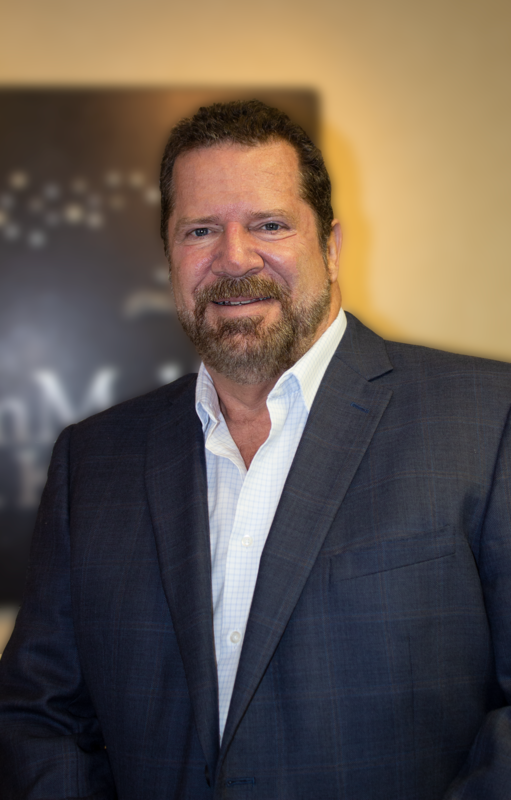 As a franchise recruiter, John guides prospective franchise candidates through the mutual evaluation process toward becoming a DreamMaker franchise. John retired as a lieutenant colonel from the U.S. Army where he served as a helicopter pilot during the Vietnam War. He earned a bachelor’s degree in aviation science and a master’s degree in management. He and his wife, Gloria, have been married 50 years. They have three children and 10 grandchildren. When he’s not working at DreamMaker, John plays with the grandchildren, relaxes in the pool, golfs and shops with his wife. 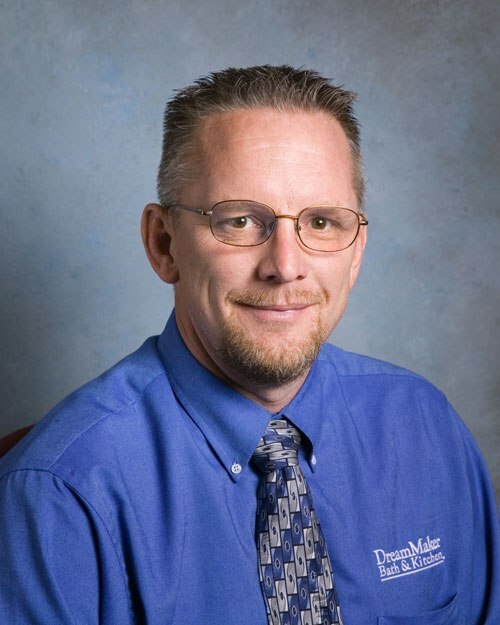 The owner of DreamMaker Bath & Kitchen of Elizabethtown (Pa.), Dale Ressler is also our Senior Franchise Coach, overseeing and leading the Coaching Department, develop training systems and coach franchisees to engage DreamMaker business systems successfully and profitably. He holds an EPA Lead Certification as well as an Aging in Place certification and is a Pennsylvania-licensed Home Improvement Contractor. When he’s not running his DreamMaker business or being a franchise coach, Dale enjoys drag racing with his dragster. He also is a volunteer chaplain with Racers for Christ serving NHRA Drag Racing. A licensed paramedic, Dale is president of the board of directors for EMS Organization with 69 employees. Dale earned a Moody Bible Institute diploma. He and his wife, Bobbi, have been married for more than 30 years. Their son and daughter are both married but live in the local area. “I love hanging out with my kids and their spouses,” he said. Carly Kennett joined the DreamMaker team in October 2016. As the Staff Accountant, Carly is responsible for the day to day financial operations for DreamMaker’s corporate office. Carly is tasked with wearing several different hats within the DreamMaker organization. Carly earned her B.A. in Psychology from the University of Texas at Dallas in 2007. 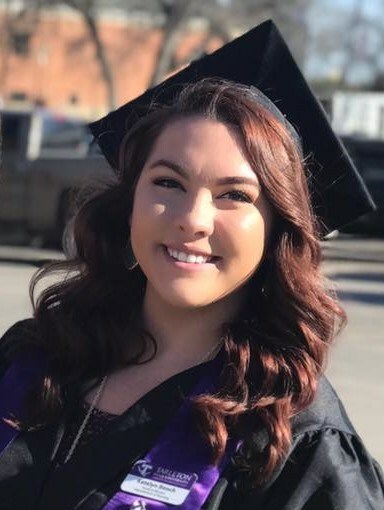 After entering the working world for several years she returned to complete her Master’s in Business Administration at Tarleton State University. 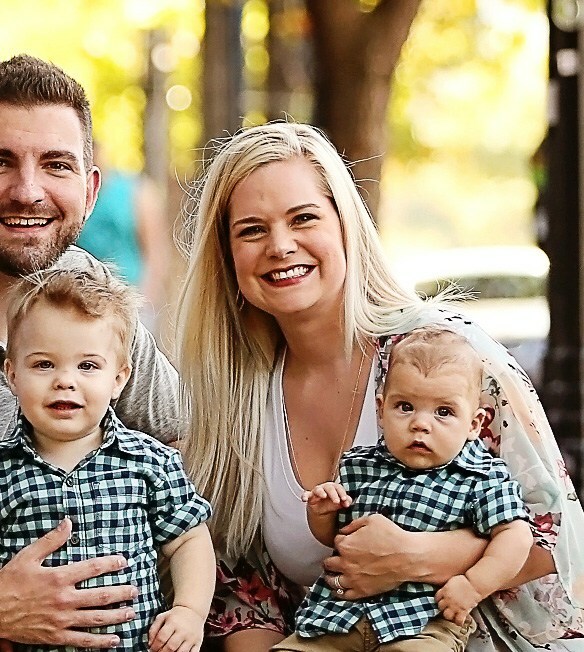 Carly and her husband Drake live in Dallas and are the proud parents of two little boys, Logan and Declan. They are also avid dog lovers and have a 3-year-old Belgian Malinois, Behr. In their spare time, you will find them chasing around a toddler or trying to catch up on sleep! They also enjoy sneaking off to the movies when they can find someone crazy enough to watch their little ones. Kendall Dickerson joined the DreamMaker staff in December 2017 as the Executive Assistant to the President and as the Vendor Relations Coordinator. As the Executive Assistant, her duties include, but are not limited to scheduling and planning meetings, webinars, travel arrangements; coordinating ministry work in the US and abroad; data analysis, creating PowerPoint presentations; managing the DreamMaker Board of Advisers; and many day-to-day administrative task and projects. Kendall is also responsible for managing the Preferred Vendor Program; cultivating new and existing vendor relationships; negotiating and facilitating vendor agreements; develop and implement strategies to increase, measure, and track vendor engagement and vendor performance; and selling exhibit space and sponsoring at DreamMaker's annual convention (Reunion). 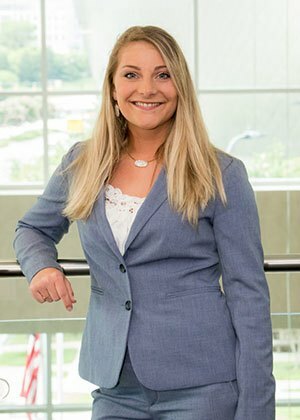 Dickerson earned a Bachelor's degree of Business Administration in Supply Chain Management and a minor in Communications from Texas A&M University - College Station. she has a background in customer service in the luxury automotive industry and procurement/subcontracts management in the aerospace industry. She also has more than 7 years of event coordinating experience. 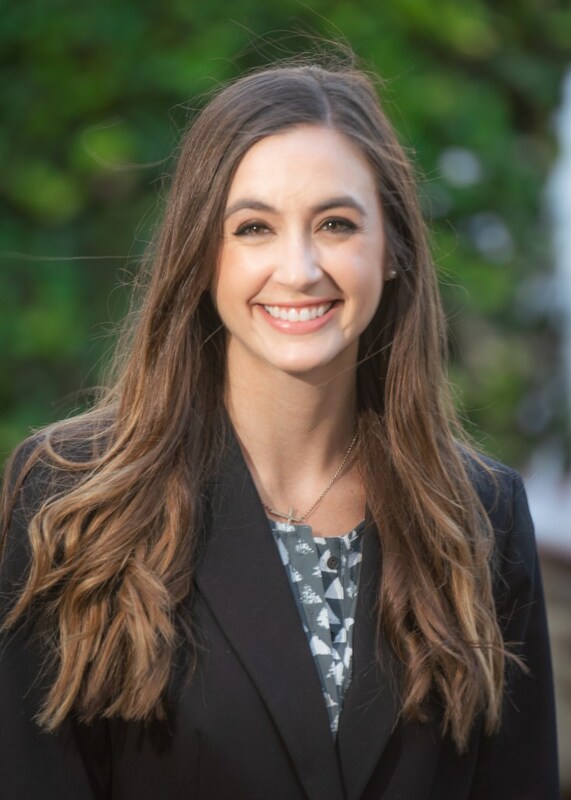 Kendall enjoys spending time with her husband, Zach, traveling to new places, coordinating special events, volunteering for the Junior League of Waco, hiking, yoga, and exercise, and interior decorating. Katelyn Bench joined the DreamMaker staff in December 2017 as the Administrative Assistant. She works in various departments handling scheduling, customer service, legal documents, and training. In addition to supporting the corporate staff and franchisees, Katelyn is also responsible for maintaining the office space and records. Katelyn works closely with the Vice President as well as the Manager of Franchise Systems Innovations and Training to ensure that many of the efforts of operations run smoothly. Katelyn holds a Bachelor of Science degree in Agribusiness with a minor in Business Management from Tarleton State University. Katelyn plans to pursue higher education and obtain her Master’s degree in Agribusiness. Outside of work, Katelyn is an avid hunter and enjoys spending time outdoors. She also helps run the family cattle ranch in Meridian, TX which fuels her passion for agriculture and ranch management. Katelyn also enjoys spending time with her family and running her Jeep on off-road trails. 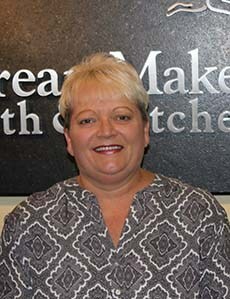 Pam Rodriguez, who joined DreamMaker in August 2009, cheerfully interacts with franchisees on a daily basis. She helps them with weekly sales reports, insurance and other compliance-related matters. Additionally, she has established strong relationships with DreamMaker’s preferred vendors, monitoring monthly sales activity. She also does accounts receivable. Helping the corporate team to track weekly reports is another of her tasks. Pam and Corky moved to Waco, Texas, to help her mother. Outside the office, Pam is an active member in her church, Cornerstone Baptist. In the past, Pam has served as the president of a women’s group, WinGS, Women in God’s Service. She is also an avid baker. Doug Nelson is the DreamMaker Corporate Chaplin. Doug grew up in Beaumont, TX and is married to his wife, Wendy and has five children and five grandchildren. He and his wife attend Highland Baptist Church in Waco, TX and love animals, the outdoors, hiking, kayaking, scuba diving, and soak up God’s beauty. He attended Lamar University and currently attends Truett Seminary at Baylor University. Doug is an honorable discharge from the USMC rank of Sergeant. 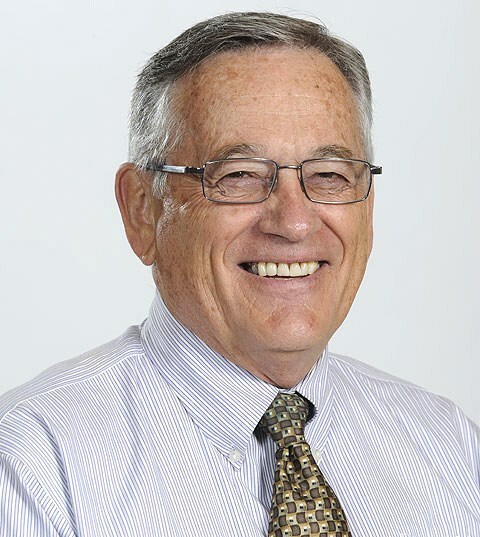 In 2012, Mr. Nelson retired after 32 years in the ready-mix construction industry, as he worked every facet of the business from laborer to VP. He now gives back to our Father through writing, business consulting, working with combat veterans who are coming home to readjust to life, and through counseling with pre and post amputees at Baylor Scott and White and Providence hospitals. Doug and his wife just started a non-profit called, “Amputees for Christ,” and their mission is to spread the Good News of Jesus Christ through prosthetics. These are all services done for free and are to give God the glory, honor, and praise.